When choosing high-heels and pumps insoles, you must consider the purpose, function, and effectivity of the product. Insoles are used to relieve pain, improve gait or walking, and correct muscular disorders like pes planus (flat foot), plantar fasciitis, bunions, and more. In this article, we will show you the available options for high heel or pumps insoles based on your foot’s needs. We will review products based on their effectiveness, price, and design. Our goal is to help you choose the best insole that can help provide you comfort, pain relief, and problem corrections. What is an Insole and How Does It Work? The insole is the part of the shoe that runs below the sole of the feet. It is used to support the foot while walking and running. Different types of shoes have varied insoles designed for specific purposes. Sports shoes have soft insoles that are connected to the sole of the shoes to improve performance and body mechanics. For heels or pumps, insoles are designed to provide as much comfort as possible. Built-in insoles for heels are also designed to improve the grip of the sole inside the shoe. Heels are not meant for any functional use except aesthetics. However, many people like wearing them and some are required to wear them at work. Because heels are not as comfortable as other shoes, some people want to add insoles that will help them manage their gait better and prevent the inevitable pain of wearing heels for more than three hours. In the Philippines, many women walk to commuting stations like the MRT, LRT, and the bus stop. Most of the terrain is made of uneven asphalt, which makes it more difficult to navigate when wearing heels. Using heels for most of the day can cause blisters, calluses, and corns as well. Aside from that, many women have undiagnosed foot problems like bunions, flatfoot, and plantar fasciitis. If you want to avoid such foot problems and walk more comfortably in high heels and pumps and prevent any pain at the end of the day, let’s look at how you can find the best insole for your feet. 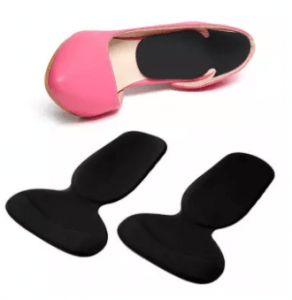 There are several available insoles for high heels and pumps on the market such as cushioned insoles, spur cup insoles, heel cap liners, arch support pads, and more. Depending on what you are experiencing, you should choose the insole that can help you solve the problems that arise when you are wearing high heels. For example, if you’re experiencing pain while walking, a soft toe cap insole is recommended. If you worry about the slip of the sole in your pumps, a full-size insole is the best choice. Some people tend to think that buying any size and cutting down the insole to accommodate their own size is acceptable. That is actually untrue, as modifying an insole also affects its purpose of some products. It is important that you choose the right size so that you won’t have to make any of these modifications. When buying insoles online, you should check the dimensions and compare them to the high heels and pumps that you own. You should also ensure that the insole you buy can be used on the various pumps you have because there may be times when your shoes are not actually the same size as the rest. Before you buy an insole, consider the material that you are most comfortable with such as gel cushions, rubber, cloth, and more. Some materials are meant to be rigid to prevent unnecessary movement, while others are designed to provide comfort by increasing the softness of your insoles. Others are used for medical purposes like the arch support pads, which are designed for improving one’s gait and relieving pain. Not all high heels and pumps are designed the same. Designers have varieties of shapes that are molded to fit the external designs of the shoes. There are also open-toed pumps, high-heeled sandals, and other types of shoes that promote heightened arches. When choosing an insole for your high heels or pumps, you should consider whether or not it will fit the shoe, if it will stay in the shoe, or if the insole will be able to do its job based on the design of the shoe. Arch support insoles won’t work with sandals because they may slip off. 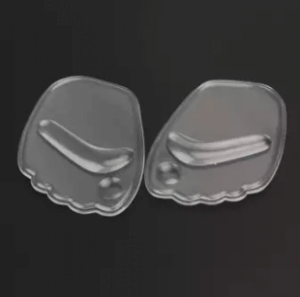 Heel cap insoles won’t attach to shoes without any external heel caps. Therefore, you must check to see if the insole will work with the shoes you want to wear them with. If you want to use insoles, you can only use them in shoes that fit you perfectly. They cannot be used excessively tight or large shoes. Their therapeutic effects will not work if the shoe does not fit. That is why it is important for you to ensure that you are wearing the right-sized heels and pumps. Here’s an additional tip: Measure your feet or do shoe fittings in the late afternoon because your feet are more swollen later in the day. Here we will give you an overview of the top ten best high heels and pumps insoles that you can buy online in the Philippines. The rankings are based on the considerations for selection on the How to Choose section. This type of insole is best for people who wear high heels that don’t fit them properly. Because of the humidity in the Philippines, a common problem when wearing high heels is sliding. 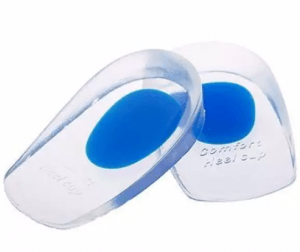 These insoles will not only provide comfort to the heel but will also prevent slippage that causes unnecessary pain on the toes. This type of insole can be used on high heeled sandals as well because it is flat and attaches properly to the insole of the shoes. It also has massaging features that improve the comfort of your heels and promotes blood flow to the soles of your feet. 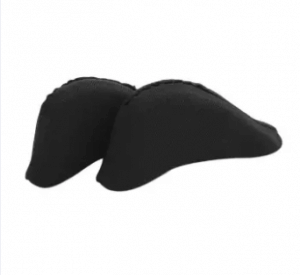 This spur cap is ideal for women who feel pain beneath their heels. This is a typical prescription for people with plantar fasciitis or what is commonly known as heel spurs. 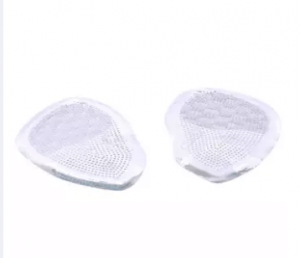 It works the same way as the cushioned insole above, but the spur cap pad provides more support to the back of the heel. The only downside is that you can only use it in pumps and not sandals. You can try to use it with open heeled sandals, but it may not look that good. 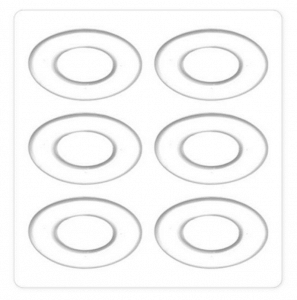 The design is ideal for most pumps and high-heeled shoes with heel caps. This insole is ideal for those who prefer high-heeled sandals. Its main purpose is to improve the grip on the shoes so that there is less slippage. This is especially important for women who wear sandals because the toes are more likely to slide down without these insoles. It also provides shock absorbency to both the heels and balls of the feet. This helps improve comfort and prevent pain. The ridges offer a massaging effect that helps promote blood flow to the entire sole of the feet as well. Improved blood flow means less varicose veins as well. 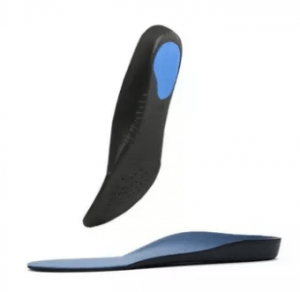 These insoles are specifically designed for people who feel pain because of their arches. 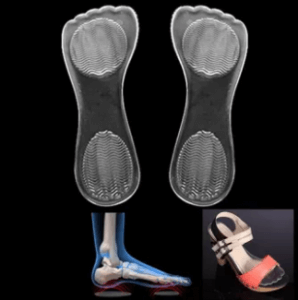 They are ideal for people with flat feet or those who have tight or loose arches. The insole is most effective when paired with stretching and strengthening exercises of the arch. The insole is only meant for closed pumps and high heels because it is designed to fit the mold of the shoes. It cannot be used for open heeled sandals. It also has massaging properties that are activated while walking in high heels, allowing for comfort and pain relief. This is a different type of insole that has one sole purpose – to prevent your toes from getting cramped and blistered. The insole is ideal for women who wear pointed toe heels and shoes that have tight toe caps. Because of the new designs of shoes in the market, these types are more common. Tight toe caps can restrict blood flow, but these cushioned toe cap insoles can soften the area, allowing the toes to breathe better. Space may not increase, but the pressure and friction between the toes and shoes will decrease. This type of insole has dual use. It is best for women who use closed pumps and high heels. It is a two-part insole that offers support at the heel cap and the foot arch. It is best for women who use high heels on a daily basis. It supports the heels better, preventing any problems that can affect the feet and legs. It has an adhesive at the bottom of the insole which lets you attach it better to the shoe’s internal insole. 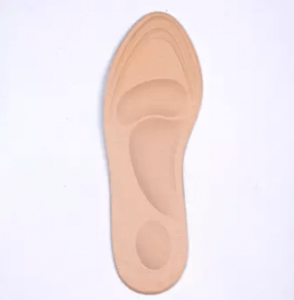 This is similar to the 3D Arch and Heel sponge, but this insole is flatter. The support covers the entire feet as opposed to just the heel. This is ideal for women who have pain in their entire feet. The insole has cushions that are strategically placed under the arch, heel, and ball of the foot. It has a massaging feature that works while walking. This helps increase blood flow to the entire feet while providing shock absorbency while walking. It is made out of cloth, which means that it needs to be cleaned more often than its gel and rubber counterparts. 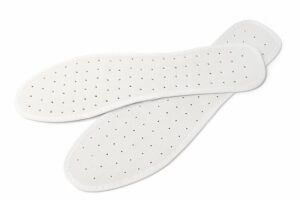 This insole is ideal for those who have problems with the heel, such as heel spurs or blisters. The silicone gel absorbs shock and provides comfort while walking. The product comes with 6 pairs, which means you can save on replacements once the soles degrade. The circular shape and the softness of the gel is an ideal solution for women who walk for many kilometers a day, like those who commute or work on the road. It is also a multi-use gel because it can be placed on the heel cap, the ball of the feet, the arch, as well as the edges of the shoes. This type of insole is for women who walk in high heels and put most of their weight on the toes and ball of their feet. Not all women know how to walk well in heels, which is why insoles like this are necessary. It can prevent blisters and calluses while providing comfort while walking. It is made of silicone gel, which helps with shock absorption. The shape is molded to mimic the position of the toes and ball of the feet. This design helps keep the foot in place while walking and standing. This is by far the most reliable insole for women who wear high heels. The main problem for women who wear those types of shoes is the grip on the balls of the feet as well as the toes. This type of insole will stay attached because of the lace straps and the grip under the insole. It comes in two colors, which is ideal for women who want a skin tone lace strap for open vamps. The black lace straps are ideal for shoes with higher vamps like booties or lace-up pumps. It can also be worn over hosiery and socks. Are you ready to get a pair of insoles for your high heels and pumps? It may seem complicated to choose the right insoles when shopping online, but the function and size should be your only concern. Once you get the right insole for your feet, you can rest easy knowing that you can walk along EDSA from end to end even if you are wearing high heels. In conclusion, find an insole based on your comfort and pain relief needs. We hope this guide serves you well and gets you the best type of insole for your dainty feet.